Welcome Saviour to Mr Ripley's Enchanted Books. Thank you for taking the time out to answer some questions about the Ancient Greek Mysteries. The series sounds like a fun and action-packed read that all readers will learn from and enjoy. Here is the first question. For potential readers from this blog, how would you summarise and sell the first book to encourage them to read it? MARK OF THE CYCLOPS is a thrilling adventure mystery set in 433BC. Nico is a scribe and his best friend Thrax is a slave who dreams of buying his freedom so he can set off to find his mother. When the two attend a wedding in the city of Corinth, someone smashes one of the precious wedding gifts. A vase. The master of the house blames Gaia, one of the slaves. She insists that a cyclops climbed in through the window and broke the vase. No one believes her but Thrax and Nico set out to find the truth. Their investigations pit them against a gang of ruthless criminals who would stop at nothing to conceal the truth. What is the gang up to? Why is it smashing vases all over Corinth, vases that are marked with the face of a cyclops? Will Thrax and Nico find out or will they end up buried alive in one of Corinth’s long-abandoned graveyards? 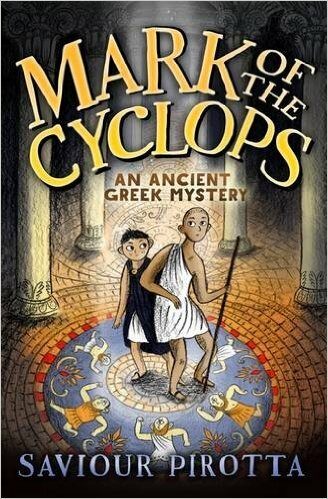 Book 1, MARK OF THE CYCLOPS was published by Bloomsbury on the 9th March 2017. Tell us more about the encounter you had with a real-life detective twenty-five years ago on the Island of Poros in Greece? How did this shape the book? Poros is a small island about ninety minutes away by boat from Athens. It’s the perfect place to plan books and write. The last time I visited, it was out of season. Most of the other travellers on board were Greek. There was only one English guy. He was very tall, with a tattoo of a snake on one side of his shaved head. I nicknamed him Snake, after the main character played by Kurt Russell in Escape from New York. We struck up a conversation. It turned out Snake was a detective. He wouldn’t tell me what he was investigating and I couldn’t for the life of me think what a detective would be doing on Poros. It’s a tiny island with only a small town and a handful of shops and cafes. During my week there I spotted Snake several times, once on the beach and at least three times guzzling stew in a café. He seemed to be on holiday rather than working. But one morning, I saw him boarding the boat back to Athens. There were two Greek policemen with him, who shook his hand warmly and thumped him on the shoulder before he left. It was obviously a case of mission accomplished. I asked locals if they knew anything about Snake but no one even seemed to be aware there’d been a detective on the island. Or if they did, they were keeping mum about it. The next day I visited the famous temple of Poseidon on Poros. I was researching a non-fiction book about temples in ancient Greece but somehow I couldn’t stop thinking about Snake and the policemen seeing him off on the ferry. 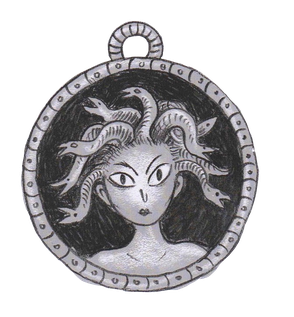 Snake became Thrax in my imagination and the Ancient Greek Mysteries were born. How are the books being used in schools to support the KS2 curriculum? A lot of schools doing Ancient Greece in KS2 are adopting the Ancient Greek Myths as their class read. The stories can be read for pleasure but they also give you tons of facts about how the ancient Greeks lived, not just what they are and wore but also what they felt about major issues like slavery, poverty, freedom of expression, the role of women in society etc. I quote from a teacher’s review on Amazon: "Expertly written historical fiction - an engaging narrative with historical accuracy and carefully woven facts. Perfect to support the study of Ancient Greece and perfect for children who enjoy a good read. My son is now hooked, desperately awaiting the next book in the series!" From a teaching point of view, books like this are worth their weight in gold, especially with the Primary Curriculum having so many historical drivers and topics and, sadly, very little historical fiction available. 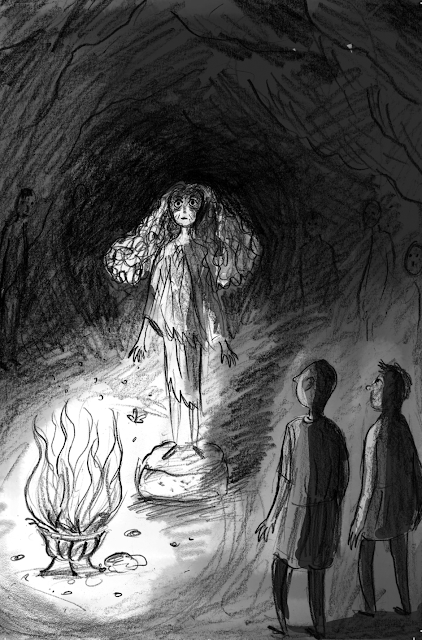 Bloomsbury have produced teaching notes to go with Mark of the Cyclops which teachers can download HERE! I also do writing workshops in schools helping children to write their own mystery stories set in the past. How have you used research to incorporate facts and information about life in ancient Greece? One of the reasons I wrote the Ancient Greek Mysteries is because I feel there are a lot of fantasy books based on Greek mythology but not much about what life really was like in Ancient Greece. I’m obsessed with facts, especially everyday details from ancient history. I’ve always been curious about how people lived in the past, what clothes they wore, what food they ate, what games they played. My aunt used to get me a magazine called Look and Learn which fed my obsession. It had wonderful articles and illustrations. I was always in awe at how the authors could spin an actual incident in history into an exciting story. The Ancient Greek Mysteries use the same technique. They’re mystery adventure stories but they’re peppered with what I hope is interesting information about Classical Greece. I have a huge non-fiction library which I built up over the years and I mostly use that for research. I have whole books about ancient Greek coins, weapons and food. I actually cooked the food Thrax and Nico eat, to make sure I described it right. 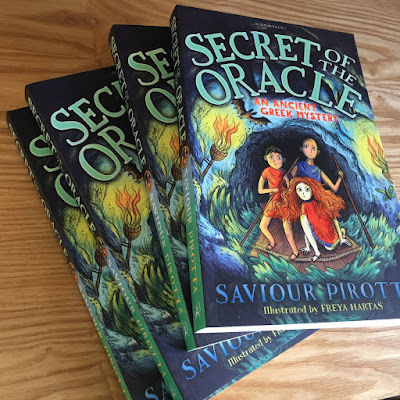 Book 2, SECRET OF THE ORACLE publishes on 5th October. How was the collaboration established between you and Freya (illustrator)? I have no say on who gets to illustrate any of my books. Which is probably a good thing or they’ll all look like the Pauline Bayliss editions of the Narnia books. Bloomsbury chose Frey who’d just illustrated The Dragon with the Chocolate Heart. It was the right choice. Freya had really made my version of Ancient Greece come alive. The characters are so close to what I imagined them to be, it’s uncanny. She first drews roughs which Hannah Rolls, my brilliant editor at Bloomsbury, emailed me to make sure we got right. There were little details that had to be tweaked, like the shapes of tombstones, the patterns on vases and styles of haircuts but I was amazed at how accurate her portrayals where. I printed out the final edits when they arrived and hung them up in my office for inspiration. Freya is hard at work on the illustrations for Book 3 at the moment. It’s called Pirates of Poseidon and I’m dying to see what they look like. What is the best question that you've been asked by a child? I’ve been asked all sorts of questions over the years. They vary from the sublime, to the incisive, to the downright funny. The most bewildering one came from a Year 2 boy in South Shields a few years ago. Do you have a toilet in your house? I thought that was a pretty odd question, until I discovered that the boy’s grandfather still used an outside toilet in the backyard. Perhaps to the boy I looked as old as his grandpa. I get asked one question over and over again, and it’s my favourite. How do you become an author? The answer is simple. Write every day. Work on your writing to make it better. Read other people’s work; it will inspire you and give you ideas. And never give up your dream. 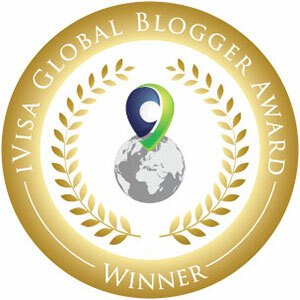 I had to leave my country of origin to achieve mine. I slept rough in London, lived in freezing squats, cried when I got rejection slips, but it never occurred to me to give up. 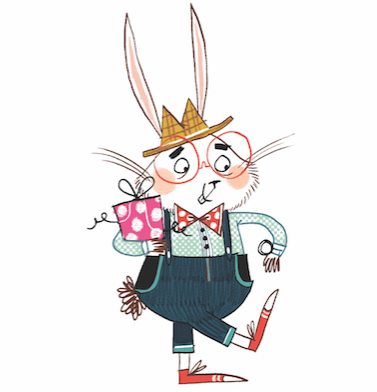 Are you able to give us a sneak preview of one of the illustrations from book 2 prior to its release in October? Here’s an early rough that Freya did for Secret of the Oracle. The two boys are Thrax and Nico, the main stars of the Ancient Greek Mysteries. The woman is a diviner called Mother Kessandra. She can interpret dreams and tell the future. She receives her clients in a mysterious cave high above the famous oracle in Delphi. It’s a real cave, which is still there to this very day. It cost money to consult the famous oracle so the very poor used to make do with visiting people like Mother Kessandra. I think even in this early sketch, Freya managed to capture the eerie atmosphere of the cave. I love the contrast between the light from the fire and the shadows in the background. Who would you choose as your four guests for a literary dinner party? I had to give that question a lot of thought. I am completely obsessed by the creative process and there are a lot of writers whose brains I would love to pick. In the end I settled on these four. Sadly they’re all dead, so my fantasy literary dinner party will never be anything but a dream. Guest of honour would be C.S. Lewis, because he wrote the Narnia books. They blew my mind when I first read them. His house was packed to the rafters with books. A bit like mine, really, so we’d have a lot to talk about. My second choice would be R.L. Stevenson. I think Treasure Island is the best pirate story ever written and I’d love to find out how he created the character of Long John Silver. I’d also invite Tove Jannson, creator of the Moomins. Her books are not only entertaining but also deal with some very serious issues, like mental health and artistic freedom. Book 3, PIRATES OF POSEIDON publishes March 2018.